1 Frame template. Size: 6" x 6".A straight grid pattern on an acetate material. For ANY straight grid needs. Uses include but are not limited to inking, glittering, painting, stenciling, paper piercing and embossing on parchment paper. Reusable and flexible.For use with Pontura Paints: use template to create a grid pattern on cardstock. 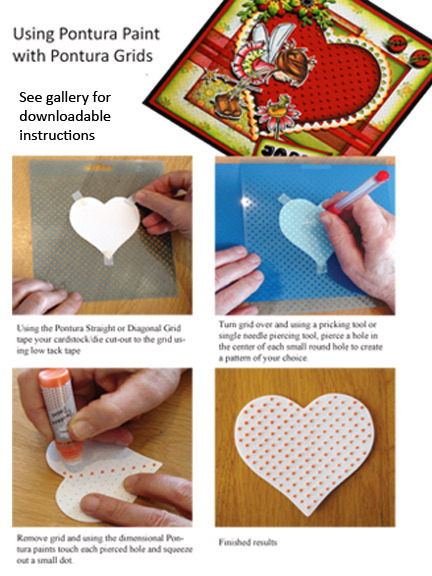 Mark the grid with a pencil or pricking pen, remove template and place Pontura paint dots on pattern. See secondary image or video for more information.